The ASF-1 MKII is completely designed and manufactured by Ambient Recording in response all the requests for an affordable, yet professional hydrophone for working with standard audio gear. 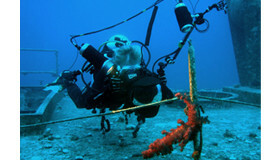 The goal was nothing less than to create a very natural sounding, low noise underwater microphone. Well, it took us nearly 3 years but finally we did it. With the development of the Ambient “Sound Fish” we focused on high audio quality with best handling. 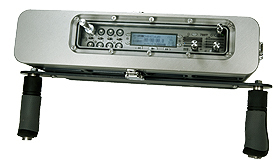 Therefore we designed a linear, low distortion microphone preamp offering a linear frequency response from 10Hz- 40kHz. 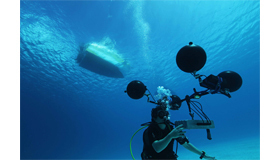 Following our idea to create an underwater microphone for professional sound recordists we worked hard to build a hydrophone which can be fed directly from standard 48V Phantom power. Thus, this microphone works right out of the box with all your existing audio gear without additional adaptors. The ASF-1 MKII is machined out of high quality aluminum-brass and can easily withstand the water pressure of 100m depth. Additionally the used materials (special formulated NBR, polyurethane cable) stand out for their long term resistance against seawater. 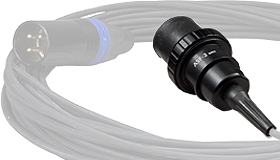 Within the purchased parts package we included a 10 meter underwater cable with sealed AHS underwater connector. 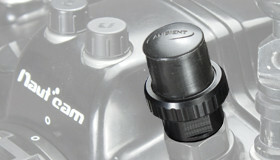 Thus, the AFS-1 MKII can be used right out of the box without additional adaptors or cables. Other cable lengths are available on request.